Every day, Thread Theory Designs Inc. is inching closer to the tipping point from being just an idea to becoming an actual menswear sewing pattern company. This week the Newcastle Cardigan, the first pattern in the Parkland Pattern Collection, was graded. 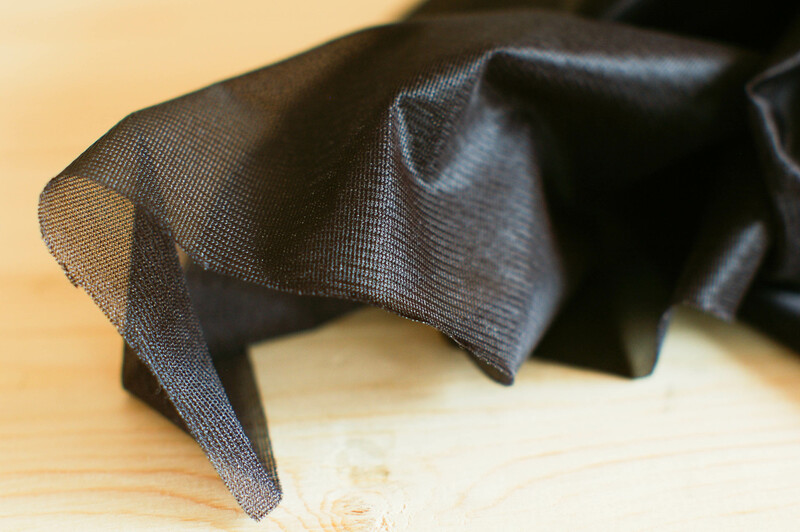 After some thorough testing right here in our sewing room it will be sent out with sewing instructions and a satisfaction survey to test sewers. To volunteer to be a test sewer for the Newcastle Cardigan or for any (or all!) of the other patterns in our Parkland collection, comment on one of our blog posts or send an email to mmmeredith@hotmail.ca. You will receive the pattern for free in exchange for your opinions and suggestions (and maybe a little bit of help spreading the word about Thread Theory around the internet!). With the Newcastle Cardigan pattern coming closer to completion I’ve been on the search for knits. I’ve found that it is often quite difficult to source menswear fabrics that are similar to those found in ready to wear garments – especially when it comes to knits. Since our first line of patterns includes two garments that require knit materials, I thought it would be best to provide a list of great online stores, specific fabrics, and info on choosing knits so that it can be used for reference when you go to sew the Newcastle Cardigan or the Strathcona Henley! 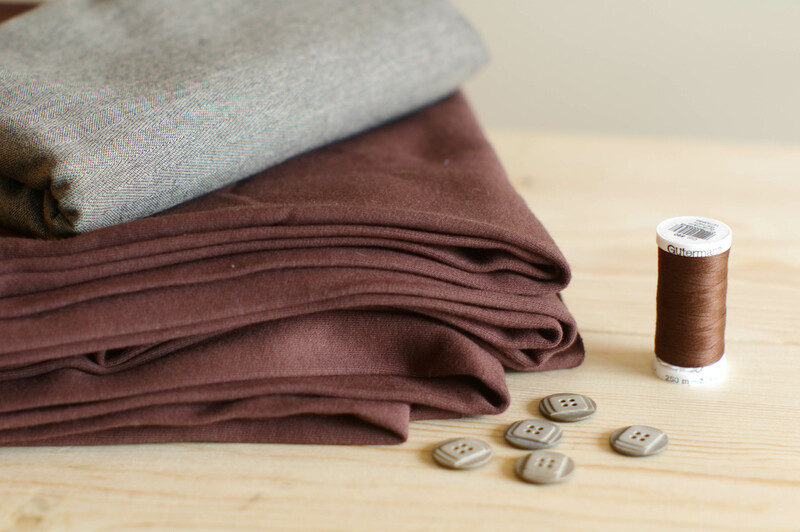 Heavy Bamboo Fleece – beautifully soft inside, strong and hard-wearing on the outside. Perfect for a casual and sporty Newcastle Cardigan. 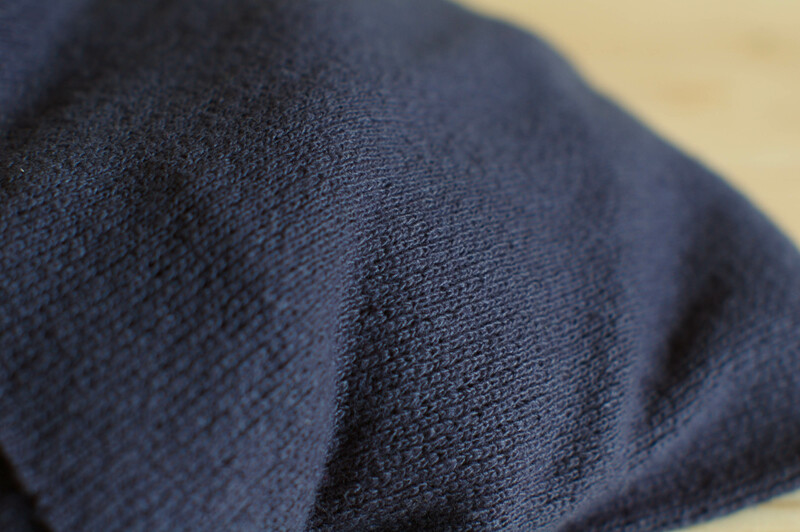 A cotton/acrylic knit that holds its shape lengthwise but stretches crosswise. An elegant color and slightly knobbly texture to create a dressier Newcastle Cardigan. Newcastle Cardigan: Sweater knits – look for knits that are medium-weight or heavier. Knits with wool content are especially attractive as a cardigan. You could also use a terry-knit to create a sweater that is quite casual and cozy. Try to avoid anything that drapes too much (rayon blend knits or most jersey knits) as fabric clinging to the arms and body results in a more feminine looking sweater. The sample I sewed last week used too light of a knit and made Matt’s arms look surprisingly slender and feminine…not the result he was hoping for even though he didn’t want the arms too loose fitting. Strathcona Henley: Waffle knits or t-shirt knits are the best choice for this pattern. Waffle knits would give this shirt the cozy and casual appearance of long-johns. T-shirt knits – cotton, hemp or bamboo with maybe a little polyester blended in – would make the henley into a nice basic worn with jeans. To create the outdoorsy look similar to Stanfield’s henleys use a wool and nylon rib knit. Both: As interfacing, make sure you use a fusible type meant for knits because it will allow for a little bit of stretch. NearSea Naturals – North Carolina – a great source for the most beautiful high quality organic knits – with some good deals too! Emma One Sock – Pennsylvania – designer discount fabric with a section for sweater knits. The word online is that the owner gives wonderful personal service and her fabric quality is excellent. She warns on her website that shipping estimates are often too high and she will let you know the actual price once you check out. Gorgeous Fabrics – A nice selection of sweater knits with thorough and personal write-ups. 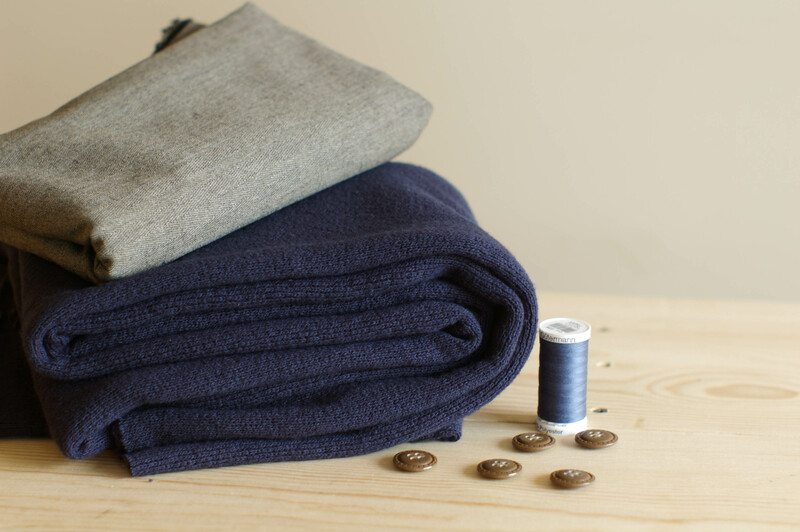 Nick of Time Textiles– Pennsylvania – a discount wholesaler with what seems to be no minimums and a very large selection of extremely affordable knits…shipping is quite pricey to Canada but the affordability of the fabric might make the extra shipping worth it. Fabric.com – Georgia – A huge selection with a specific section for sweater knits. Currently, most of the selection is light weight and a little more feminine than you might want for either the Newcastle or Strathcona patterns but that could be because we are already prepared for spring sewing. The Remnant House – UK – Ships to a variety of places in Europe – it doesn’t look like it ships to North America or elsewhere but I could be wrong. 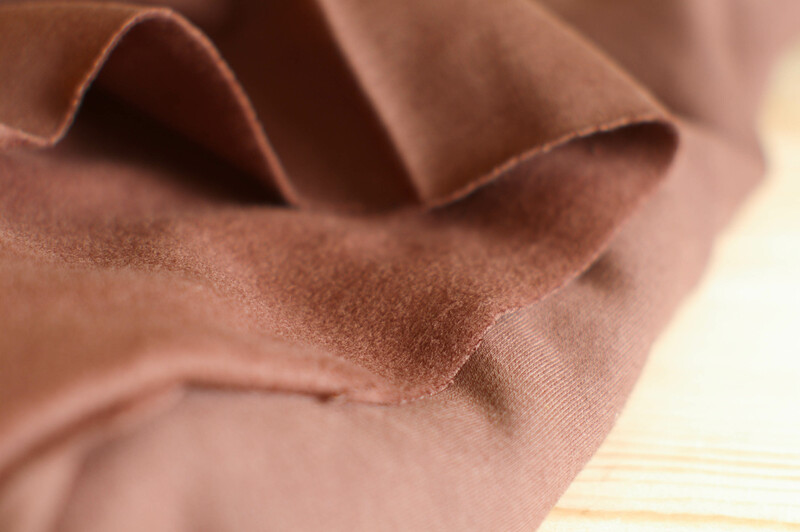 Search in their “Dress Fabric” category for apparel fabrics. Does anyone know of online retailers of knit fabrics based out of Canada? Or maybe some based in Australia or Europe? I’ll add to my list if you have a favorite or two to mention! P.S. Isn’t this nice packaging? 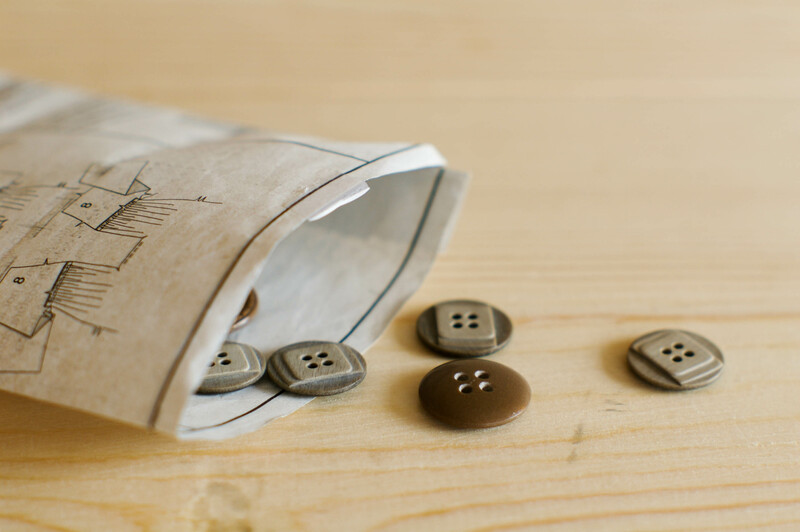 The buttons I just bought from my local fabric store (Gala Fabrics) were packed in this small envelope made from pattern instructions – isn’t that a nice way to recycle? Categories: Friday Posts, newcastle cardigan, Strathcona Henley | Tags: Emma One Sock, Fabric.com, Gala fabrics, Gorgeous Fabrics, Harts Fabric, knits, Made By Rae, menswear knits, NearSea Naturals, Nick of Time Textiles, Online fabric, Sewaholic, sewing with knits, The Remnant House | Permalink.